Get the most flattering eyeglass frames without breaking the bank. At Linder Opticians, we offer a wide range of products in various styles and brands. Make sure your eyes are in good health by acquiring our reliable eye exams. Our independent optometrist is always on hand to evaluate them. Linder Opticians is celebrating 100 years of servicing the Greater Philadelphia area with high end eyewear and customer satisfaction. At Linder Opticians we’ll give you the attention and personal service you’ll come to expect and enjoy. We offer most desired frames and the latest technology in digital lenses. Linder Opticians has been located in Lower Gwynedd since 2008, we invite you to come and experience our top quality products and services today and learn why we have been in business for over 100 years! 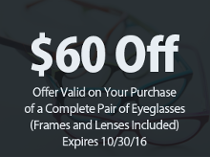 Contact our optical shop in Lower Gwynedd, PA, to inquire about our available prescription glasses.